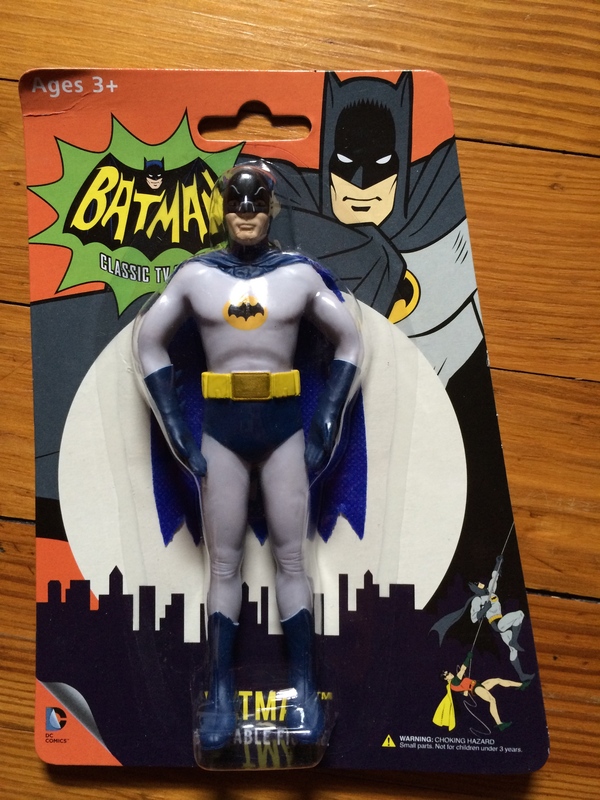 EXCLUSIVE First Review! 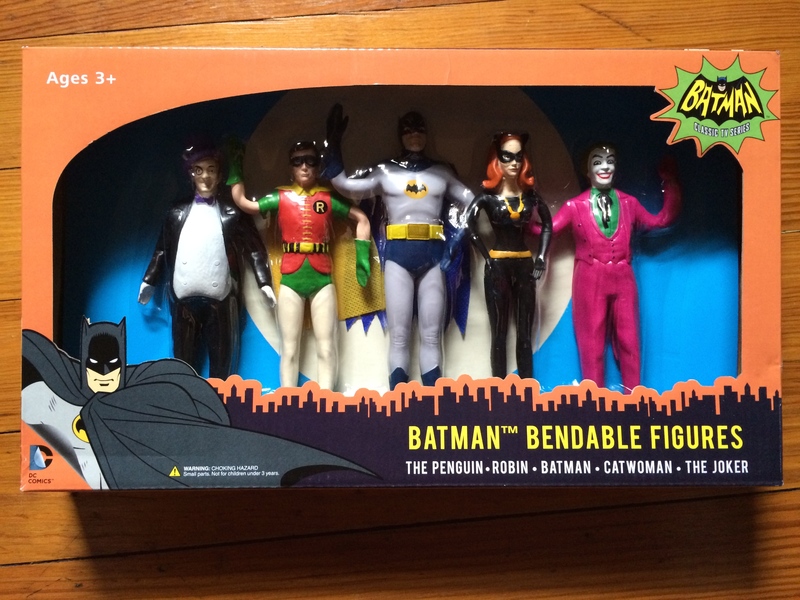 BATMAN ’66 Bendables! 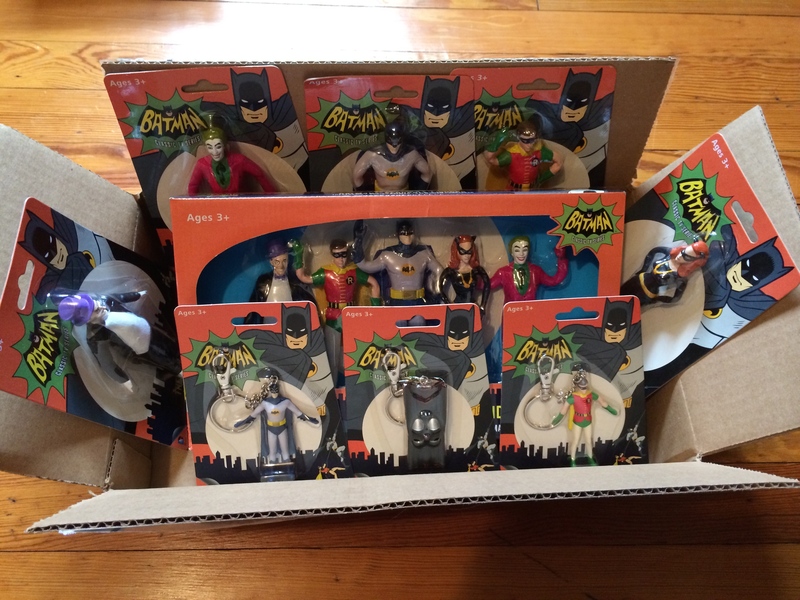 Home » ACTION FIGURES & MERCH » EXCLUSIVE First Review! BATMAN ’66 Bendables! 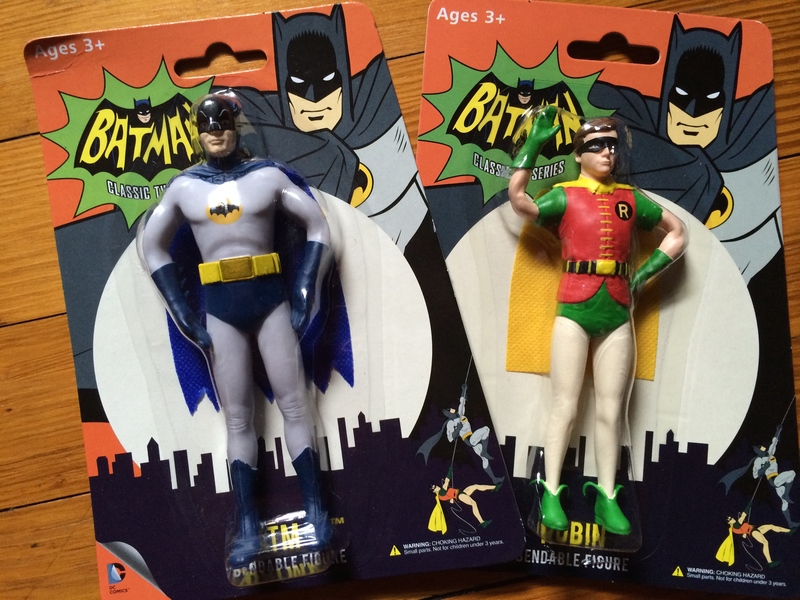 NJ Croce‘s terrific Batman ’66 line is almost out — and we have an advance review! 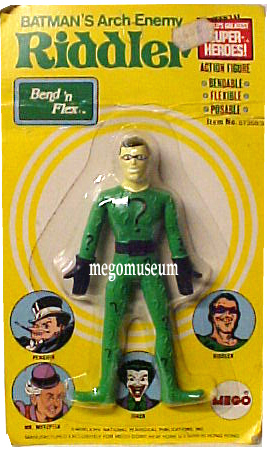 Every fan of retro superhero toys talks about the 8-inch Megos from 1970s kidhood. I’m among them. But there was also the company’s oft-forgotten Bend ‘N Flex line. 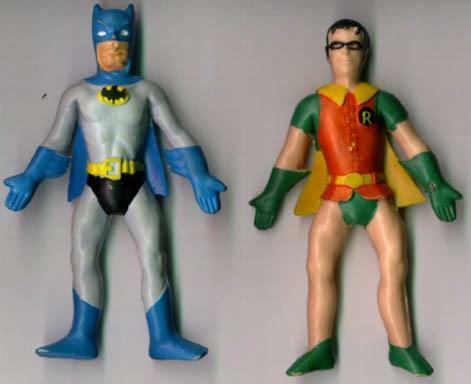 These were most of the same characters on the same card styles, but shrunk down and done up in flexible rubber. 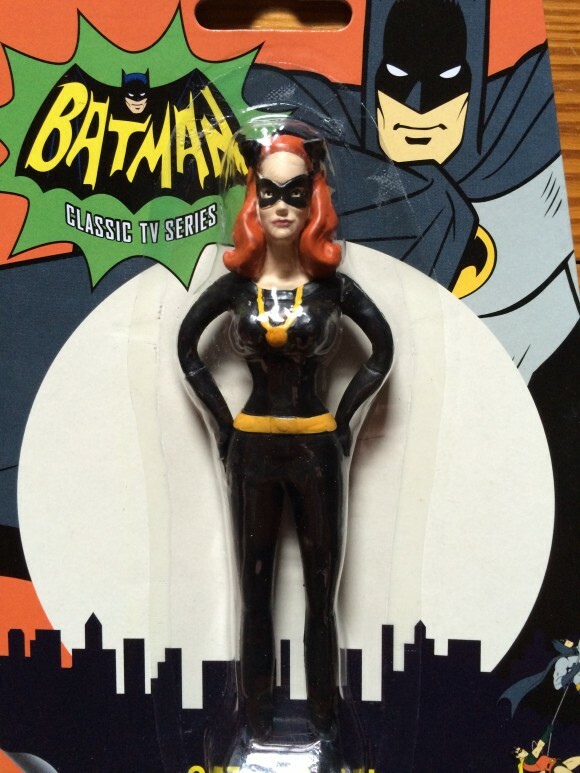 Anyway, these are the bendies I would have begged and pleaded for when I was Li’l Dan — and I’m really, really happy that I live in a time where I can get them. 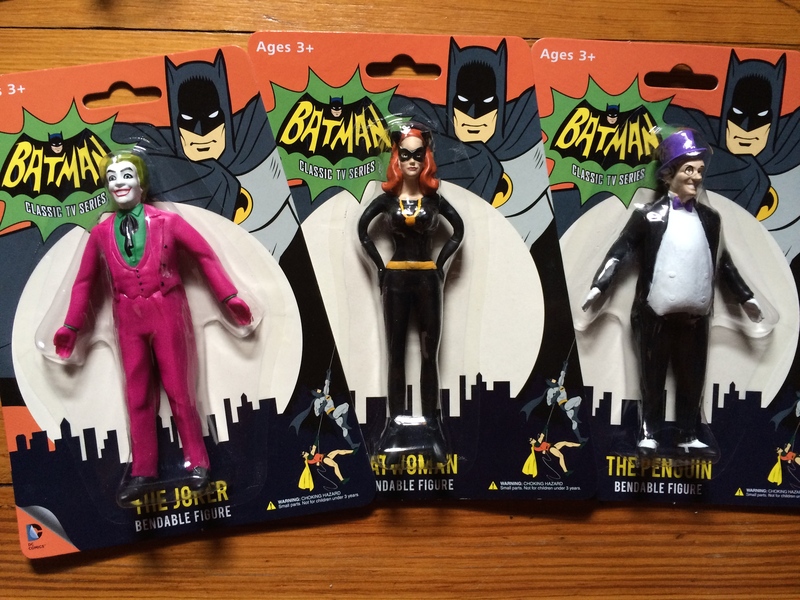 Because it really is extraordinary just how these rubber figures can so accurately depict Adam West, Burt Ward, Julie Newmar, Cesar Romero and Burgess Meredith! Check out the wrinkly knees! The body types! And they are all in scale with one another! And take an up-close look at Batman and Catwoman — those likenesses are striking, especially given the restrictions of this type of item. Plus! There are also Batman, Robin and, yes, Batmobile keychains that are even smaller scale. I can’t really explain why these give me such a warm feeling. Maybe it’s how basic they are. 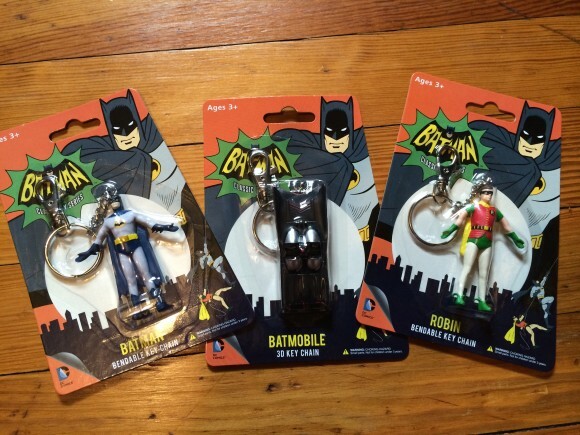 Maybe it’s that bendable figures are inherently a little goofy, which makes me smile. Whatever it is, these are a fantastic addition to the ever-growing Batman ’66 line of merch! 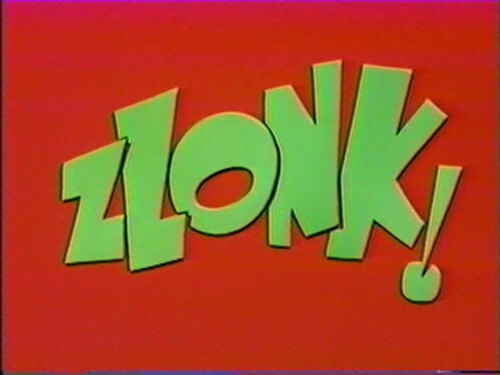 Where and when can I buy some?